Many Christians today decry the use of apologetics or evidences in Christian witnessing, feeling it is somehow dishonoring to the Lord or to the Scriptures to try to defend them. But as our text indicates, the apostle Paul did not agree with this. The gospel does need defending, and he was set for its defense against the attacks of its adversaries. He also told his disciples that “in the defence and confirmation of the gospel, ye all are partakers of my grace” (Philippians 1:7). 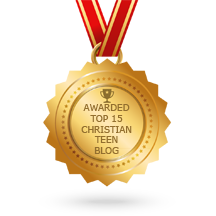 This entry was posted in A CLICK A BLESSING TODAY, CHRISTIAN NUGGETS, CHRISTIAN TAGALOG BLOGS, CHRISTIAN TEENS BLOGS and tagged Defending the Gospel. Bookmark the permalink.